Like most Christians, and certainly most pastors, I have many different Bibles. There are some that I use regularly and some that I rarely pull off the shelf, but Crossway has recently produced the Bible in a format that will send me back to my shelf regularly. The newly released ESV Scripture Journal is a unique format that invites readers to study and apply the Scriptures as they read. 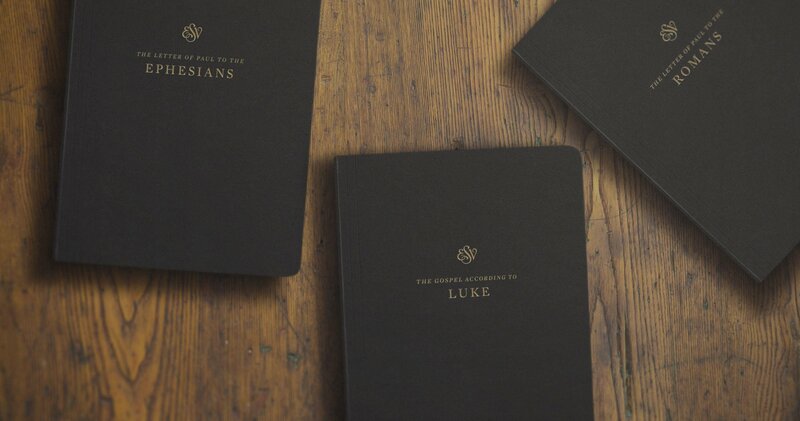 The ESV Scripture Journals are individual volumes that cover the entirety of the canon of Scripture. Some volumes cover single books of the Bible, like Romans or Psalms. Other volumes combine books into a single volume, since their smaller books, like the Minor Prophets. The book’s format is simple. On one side of the page you have the text of Scripture and on the other side you have a blank sheet of lined paper, clean and ready for note-taking. Journal Bibles have been around for a while now, so the concept itself is not new. In fact, ESV produced a Journaling Bible that I’ve used for 10 years. But that version of the idea was a single volume and so the space for journaling was very small. It was often difficult to take notes and I personally felt a responsibility to preserve the pages for the “best” thoughts and reflections. So, you had to be selective in what you jotted down. After all, the space for note-taking had to cover a lot of verses. The single-volume format allows for much more space to unpack thoughts, to jot down notes and insights, and the larger print makes it easier to read and interact with. I have been using various volumes already and found them so handy. They have helped to enhance my interaction with the text simply by providing me the space to write next to the verses I am reading. With the ESV Scripture Journal I can take notes during sermons, jot down insights from a commentary, raise questions that I want to wrestle with regarding a passage or a doctrine, or simply make notes about applications and ways to live out a text. The potential for this tool to add joy and insight to our study of the Bible is great. The single volumes are inexpensive, and lightweight. They are also somewhat cheaply made, but they have a clean minimalist look to them and the price is nice. As we go through Acts on Sunday Mornings I have been bringing my volume on Acts to service and jotting notes as we go. One of our Wednesday elective classes is using the 1 Peter volume as their textbook. I have also issued single-volumes in counseling and discipleship situations as I walk with people through a book of the Bible and ask them to answer questions, jot notes, or make insights about the relevance of the text to their life. The ESV Scripture Journal isn’t probably going to be your primary Bible – it would be a little rough to carry 55 volumes around. But, a single-volume can greatly encourage and enhance personal Bible study and sermon note-taking. I love this idea and have already found multiple uses for the Scripture journals. I encourage others to check them out and see for yourself.